lacing - Learning Tree Educational Store Inc. 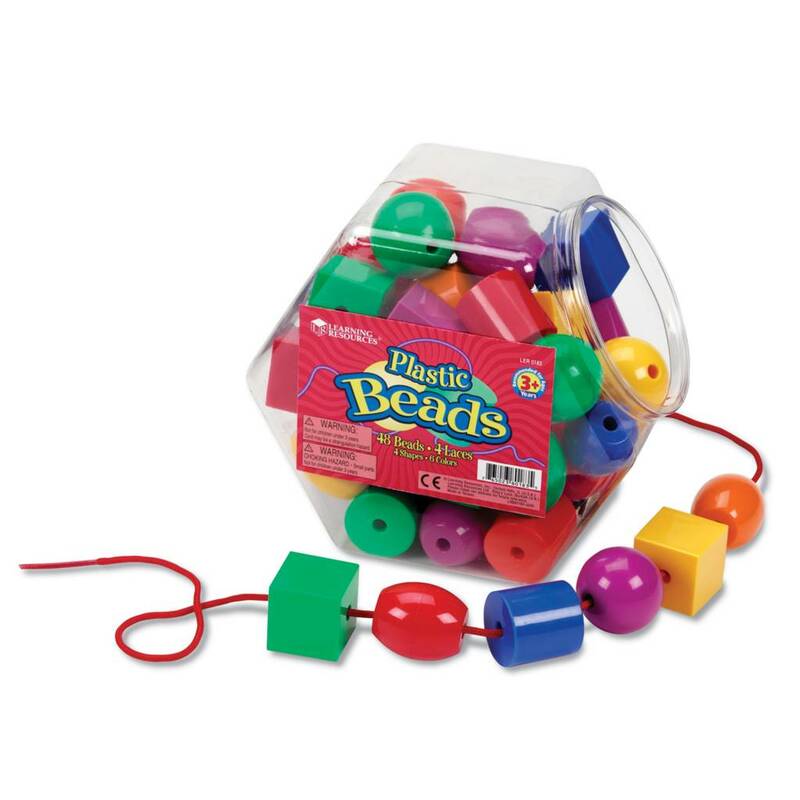 This durable bead set will keep small hands occupied and young minds learning. Beads come in 6 colors and 4 shapes for unlimited lacing options. 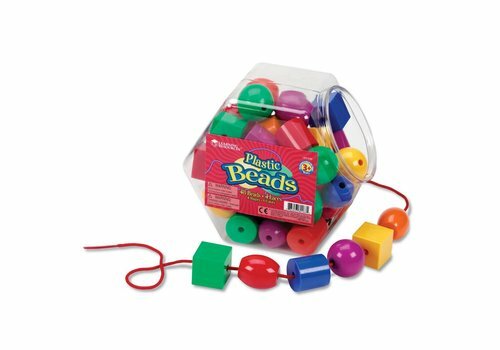 Beads store in convenient bucket with lid.